Watch our new film showing how a genuine partnership between individuals and the community can help get a man back to sea. Need help with your funding claim? The European Maritime Fisheries Fund have committed over £50 million pounds of projects. With a current spend of only £20m, there is now a real push to get claims submitted. If you’re in a position where you have an offer letter and have spent the money, please get in touch with us. For us to submit this on your behalf we will need a few documents from you. Invoices - either hard signed copies or ones with an email chain behind them. Bank statement showing the money leaving your account. Give us a call on 01736 362782 and see how we can help you. The Fisheries Area Network have just released a report on women in Fisheries Local Action Areas (FLAG’s) across Europe. In its research women account for 27% of the combined fishing and aquaculture chain value. 13% work in primary fisheries and 26% in primary aquaculture. They make up 51% of the processing sector workforce, and, 15% of the fishing supply chain businesses rely on unpaid support from women. The nature of the ‘invisible’ support provided by women in fisheries family is hard to determine and quantify, but is significant. The report says many coastal fisheries families process their own catch, adding value through marketing, hospitality and tourism. Despite their role often being considered ‘invisible', women are typically central to these activities. Funding applications are nearly always written and developed by the female family members while the main beneficiary is listed as the man of the family. This significant contribution to the business and indeed the wider FLAG area, once the project is actioned, is not recognised in the sectors national statistics, or anywhere for that matter. considerably high in the Mediterranean. FLAGs in Greece, Spain and Italy identified the number of family run businesses relying on the support of female family members to be between 36 and 40%. “In the UK, a new research project is exploring women’s roles in fishing families. 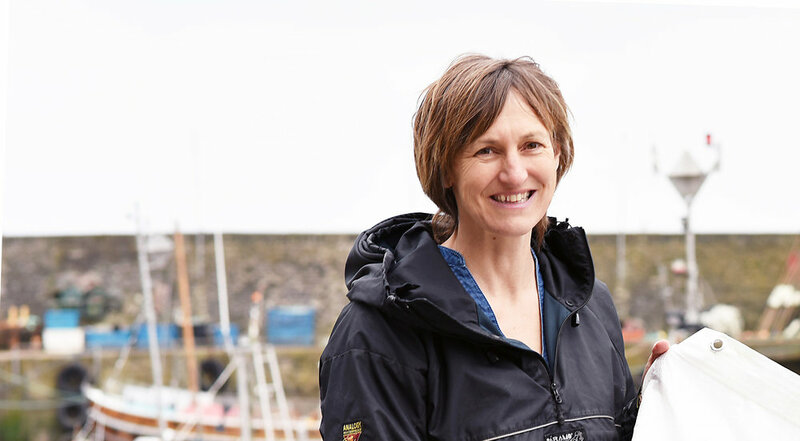 The study is hoping to improve understanding of how women contribute to the success of small-scale fishing families and businesses (in particular those which use boats under 10m) and is looking to speak to women in all corners of the UK. To find out more and to learn about how to take part visit women-fisheries.com/”. It is now compulsory for all commercial fishermen to wear a lifejacket (‘personal flotation device’ – PFD) or use a safety harness at sea, unless a vessel has a documented risk assessment to show that risks of going overboard are controlled in another way. There have been many campaigns to increase the uptake and wearing of PFD's over recent years, which has seen a rough total of 8000 PFD's issued to fishermen. However, despite these efforts there are still many fishermen not wearing life jackets, as well as not making the necessary modifications to their vessels to reduce the risk of man over board (MOB). The MAIB database of marine accidents between 2000 and 2017 records 153 fatal drowning accidents from UK-registered fishing vessels. Of these, 104 of the fatalities were not wearing PFDs, and 20 were wearing them. In the remaining 29 cases, it was unknown whether PFDs were worn at the time of the accident. It is hoped that this new law will not just encourage an increase in wearing of PFD's, but will primarily encourage vessel owners to modify their vessels to reduce the risk of man over board in the first place. Modifications such as safety rails, raising gunnels, sheeting in the sides of vessels, shelter decks, non slip decking are all simple modifications to reduce risk of MOB. The Animateur team have been successful with 100's of projects specifically focusing on modifying vessels to reduce the risk of man over board situations. Grants of up to 80% are available from the European Maritime and Fisheries Fund (EMFF) to finance safety modifications to vessels, as well as personal protection equipment, which includes work clothing as well as PFDs and PLB’s. The UK Fisheries Animateur project has been setup to help you through the grant funding process and access financial support to improve personal and vessel safety. General Data Protection Regulation (GDPR) Consent: For the purposes of the GDPR, by sending us an application information or enquiry you give your explicit consent for us to use data relating to your business or organisation/association/business for the purposes outlined herein. We will use the information you give us on this application/ enquiry form, in supporting documents, during assessment and during our support of your application, administer and analyse of grants and for our own research purposes. We may give copies of all or some of this information to individuals and organisations we consult with when assessing enquiries or applications, monitoring grants and evaluating funding processes and impacts. These organisations may include,The Marine Management Organisation, inter alia, accountants, external evaluators and other organisations or groups involved in delivering our outputs. We may also share information with other grant-making bodies, government departments, organisations providing matched funding and other organisations and individuals with a legitimate interest in us, or for the prevention and detection of fraud. Nature of services: We are experienced project developers who can undertake research and an application on your behalf. We do not have any official links with the Marine Management Organisation, or other grant providers, but will act as an Animateur to you to assist in the project development process. All risk, liabilities and conditions of any successful grant offer remain with you, the applicant. Note: The Animateurs are under no obligation to support projects which they feel are not viable/appropriate or safe. If a project is of a significant size (over £100,000) there may be a charge. The team is small and there may be a capacity issue we may be able to offer you telephone advice, but we can only deal with a limited number of projects at any one time. An example of our terms and letter of engagement are available. 2018 has seen our Animateur service support more fishermen and fishing communities than ever before. Thanks to support from Seafarers UK, The Fishmongers Company and Trinity House we now have a team of Animateur working with fishing communities across the UK. With outreach work in Wales, Norfolk and various communities along the south coast of England we are ensuring that all fishermen are able to access EMFF to improve health and safety, harbour infrastructure and adding value to their catch. The year has been a significant step up in regards to our impact , not only on the ground, but with a new website and series of self help guides and videos that encourage communities, fishermen and their families to help themselves and develop their own projects. We are already looking forward to 2019 and developing a series of new themes to support the UK fishing communities. Saving for a Stormy Day? Watch our video to find out about our work with Kernow Credit Union to support Fishermen. Click here to find your Local Credit Union. The Cornwall & Isles of Scilly Fisheries Local Action Group (FLAG) funding program first started in August 2016. It focuses on 3 themes - Safe Harbours, Young people, Innovation research & diversification. 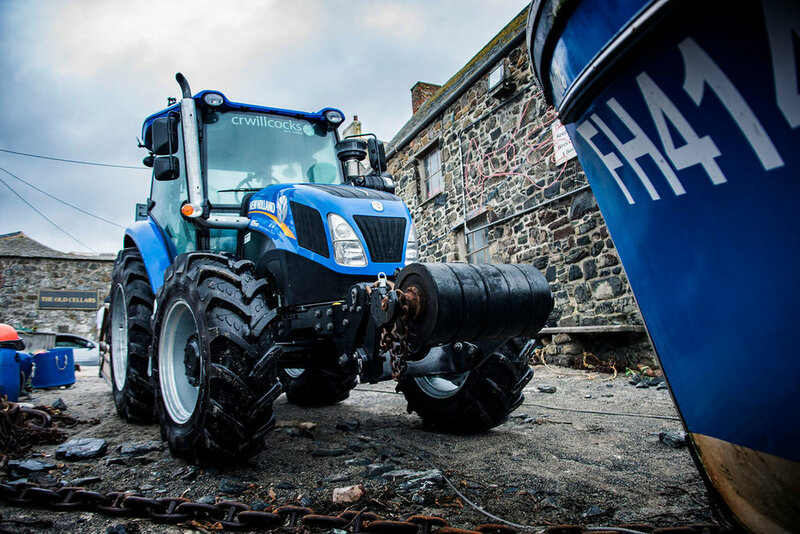 Within the fund we have awarded grants to a wide range of groups and have recently helped Cadgwith Winch Committee purchase a tractor to help the fishermen get their boats in and out of the sea at the cove. The project cost a total of £62,183.16, with the FLAG contributing £49,746.52. The tractor is now down in the cove and is proving to be a great success. The Animateur team recently carried out a week of outreach work with various fishing communities along the Norfolk coastline. These areas were targeted due to the low uptake of EMFF, which was evident from the MMO’s transparency initiative table, which shows all approved project postcodes. After plotting these on a map it was clear that support maybe required in these areas to raise awareness of funding and help develop projects, so a meeting was called with the North Norfolk Fishermen’s Society. Discussions were held with over 20 members to develop ways to improve health safety, working conditions, shore based facilities and ways to add value to catch. This meeting proved very successful and the team are now developing a range of ideas, which will soon be submitted as EMFF grant applications. Norfolk is made up of a variety of small ports, landing sites, and inlets, from Cromer to Sea Palling to Kings Lynn. The fleet is primarily made up of small scale coastal fishers, but also home to some larger vessels. If you would like the Animateur team to visit your fishing community please get in contact via the website. Chris Ranford attended the recent FARNET Circular Economy event in St Jean De Luz, France. Encouraging local production and consumer habits to move away from the traditional “take, make and dispose” model and become more sustainable, e.g. through sustainable sourcing of materials, eco-design, sharing and re-use of products, etc. Finding ways to minimise waste and ensure the value of products and materials is maintained for as long as possible. (organic fish waste, shells, plastic…). The seminar themes were addressed through a series of presentations, working groups discussions, mini-plenary sessions, a project fair and during the field visit. To read up about the event and download the latest FARNET publication on Circular Economy please click here. 2018 was a successful year for the European Maritime and Fisheries Fund (EMFF) Scheme. Sign up for Sea Change!